ACT announced today that its strategic partner in Turkey, ConnecME Education, and IEFT fairs will offer students in Ankara the unique experience of taking the PreACT® test. 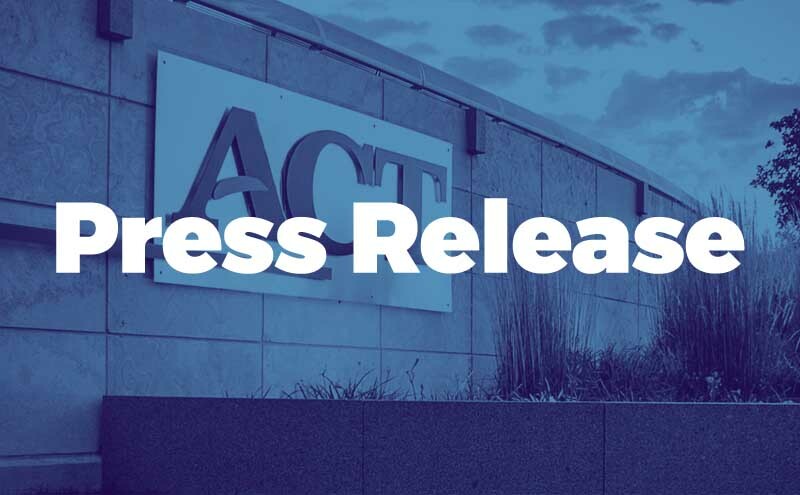 For college-bound students, the PreACT simulates the ACT® testing experience and produces scientifically valid predictions of a student’s future performance on the ACT test. The ACT test is accepted by all US colleges and universities. In addition, universities in Turkey, Qatar, and Jordan accept the scores for foreign students’ admission, and 230 schools abroad use the ACT as an acceptance criterion, including the prestigious Russell Group in the UK. Two PreACT test sessions are scheduled for Oct. 24 at the Ankara Sheraton Hotel. The first test begins at 13:00 and the second at 16:00, and each test takes approximately 2.5 hours. Registration for the test is available online at www.connecme.com or can be arranged by sending an email to ConnecME Education at turkey@connecme.com. Test session seating is limited, and the registration deadline is Oct. 20. ConnecME is an international educational company that understands the importance of empowerment and global citizenship. With its strong partnerships, it aims to provide tailored educational solutions to meet the unique needs of schools, universities, and government departments. With ACT, ConnecME’s goal is to provide students with opportunities to help them become globally competitive and to attain excellence and recognition in the global domain. They view their role as one of continuous support to the student, in helping them open more doors to opportunities both home and abroad. To know more about ConnecME’s services, please visit their website www.connecme.com or email turkey@connecme.com.